Embark on an adventure that lives up to the romanticized vision of a classic African safari. The Singita Sabora Tented Camp meshes colonial-era elegance with a rare opportunity to experience the wilds of the Serengeti up close. All while enjoying the highest standards of luxury. 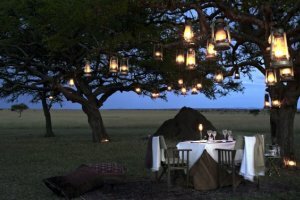 These unique accommodations epitomize the classic Hollywood vision of what an African safari should be. 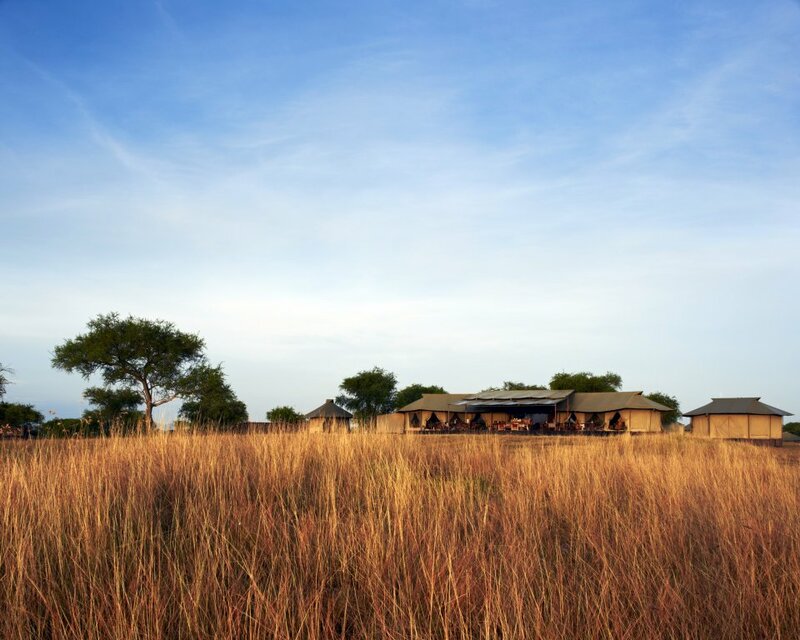 The Singita Sabora Tented Camp sits surrounded by the expansive plains of the Serengeti –a seemingly rustic collection of canvass-covered huts. But step inside and discover one of the most elegant and refined African escapes in the world. These tents are enticingly elegant. The space is adorned with colonial décor and dotted with turn-of-the-century artifacts, including Persian rugs and ornate wooden chests. 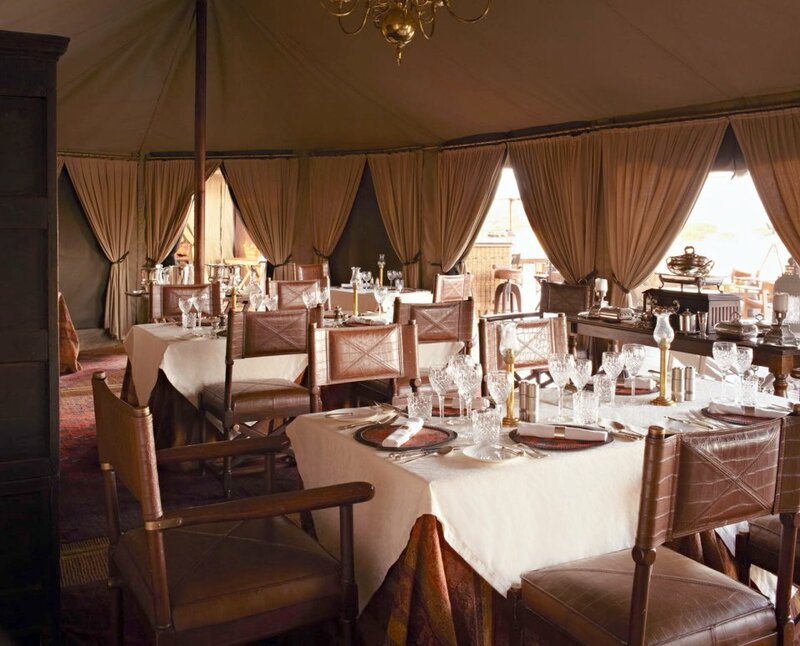 The ambience is elegant yet adventurous, capturing the classic romanticism of a traditional African safari. Running water, electricity and even air conditioning are among the comforts that are available. The intuitive staff helps you unwind. Sumptuous meals are crafted by a talented chef using local ingredients, including fresh herbs from a garden right outside the kitchen. The Sabora is one of Africa’s most prolific areas for large game. While relaxing in this camp, you feel very close to the animals. Zebras walk right past your accommodations; exotic birds flutter nearby and sometimes wildebeest even scurry through the camp. Luxuriate at the renowned Bush Spa, where holistic treatments energize you. Slip into the swimming pool to cool off from the heat and then sip a fine wine from our reserves. Explore the wilds of the Serengeti during a game drive or guided safari walk and marvel at cheetahs, bearded wildebeest, bat-eared foxes, black rhinos and other creatures. 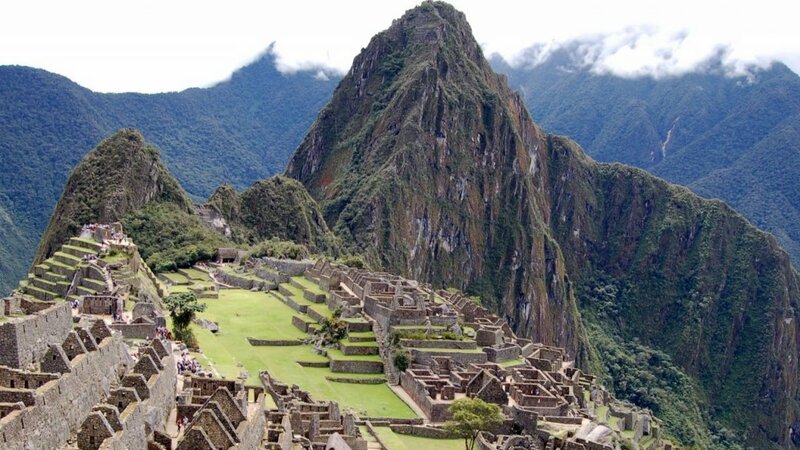 To find out more about this amazing property, please contact us for a free travel consultation.